From an #agnerd perspective, SXSW was an amazing experience. It was a great opportunity to be able to be on the AgChat Foundation panel with Chris Chinn, Emily Zweber, Zach Hunnicutt and moderated by Marla Schulman. I took a little different approach to SXSW than most folks. Rather than trying to discover new hardware, software, applications or strategies, I went with the purpose of meeting and interacting with people. I have discovered that genuine and caring people are more often than not, associated with unique, beneficial and useful products and programs. Once again, this premise proved true. 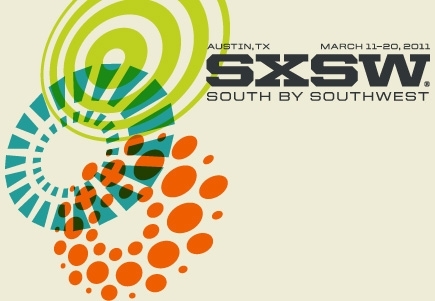 I would like to share a few of the people I was able to meet and speak with at SXSW and encourage you to look them up and check out what they have to offer and are involved in. Jeff Pulver, the wisdom and forethought behind #140conf. Attending one of Jeff’s #140conf and meeting Jeff, should be on every persons “must do” list. Jeff’s conferences are a compilation of amazing people, who have found effective ways to utilize social media to make lifetime friends, provide tremendous acts of giving and return humanity to the discussion. Rich Harris, Senior Manager of Social Media at Seagate Technology – Rich is a great person, representing an outstanding product. Ray Prock and I met Rich last year at a Twitter conference in Seattle, Washington, and I am thankful for that. He offers great insight and perspective on a plethora of issues at his blog 47Project. Phil Libin, Chief Executive Officer for Evernote – I was thankful to finally meet Phil after hearing so much about him from Ray Prock, who did a dairy video that is shared on the platform. I look forward to the opportunities ahead with the AgChat Foundation working with them to open new doors and broaden the horizon for potential partnerships with agriculture and technology. Sven Johnston, Founder, We Are Orange County – We Are Orange County!™ (WAOC™) is a not for profit networking group that was created with two missions in mind. The first mission is to convince Linkedin to give Orange County its own location code to finally give it the recognition it deserves as a business hub in California. Orange County is not Los Angeles or San Diego and has over 3 million people in its county. The second mission is for WAOC™ to become an umbrella networking group for Orange County that supports all the nonprofit & not for profit community, industry and professional networking groups. Amanda Eamich, Director of Web Communications, USDA 2.0 – In December 2009, the White House issued the Open Government Directive, requiring federal agencies to make important data available online and to increase transparency, participation, and collaboration. Eamich is changing the way the administration communicates with citizens by leveraging various new media tools. The USDA has also made significant strides toward fulfilling this mandate by releasing raw data sets such as the National Farmers Market Directory on Data.gov. CNN has already used this data as part of a partnership with Foursquare to create the healthy eating badge for frequent farmers market shoppers. Joey Shepp, Director of New Media at Your Garden Show – YourGardenShow is a neat website to gather ideas, GLOG and find tips on gardening from experienced gardeners. Kara Arsenault, New Media Content Manager at ONE – ONE is a grassroots advocacy and campaigning organization that fights extreme poverty and preventable disease, particularly in Africa, by raising public awareness and pressuring political leaders to support smart and effective policies and programs that are saving lives, helping to put kids in school and improving futures. Alex Lewin, Senior Engineer at Social Cam – SocialCam is an easy way to share videos with friends and was launched on March 7th. With a few clicks you’re able to record, tag and share videos as well as browse, like, and comment on your friends’ videos. You can download the app from their website.